Brise Soleil for a party wall repositions the brise soleil as a sun reflector rather than a sun screen. A series of undulating aluminum strips line a party wall that is incredibly close but cannot be engaged physically. Rather than a physical touch, the strips are painted in bright colors as to reflect light on the nearby surface. The strips additionally compress and expand to direct circulation and views. 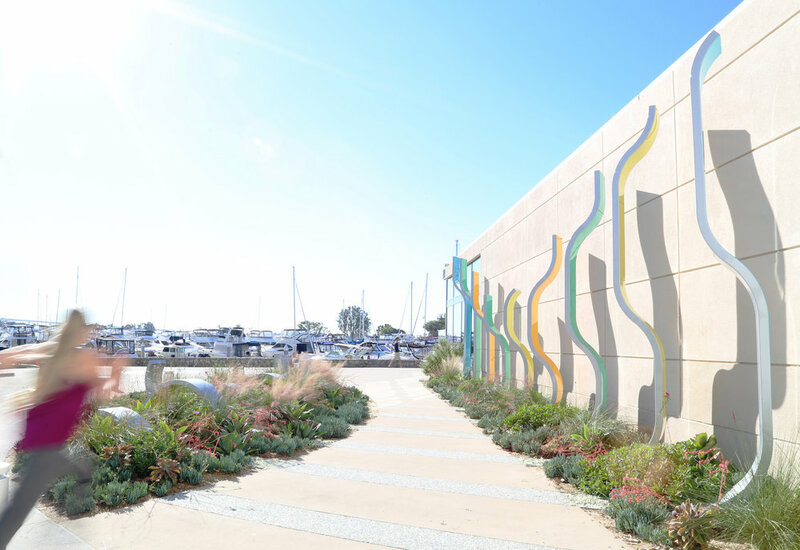 Located on San Diego’s new Marina Walk, the installation becomes a passageway along an otherwise blank wall, transforming from vertical sculpture into paving strips and finally into landscape elements. The faux brise soleil frames views of the bay. 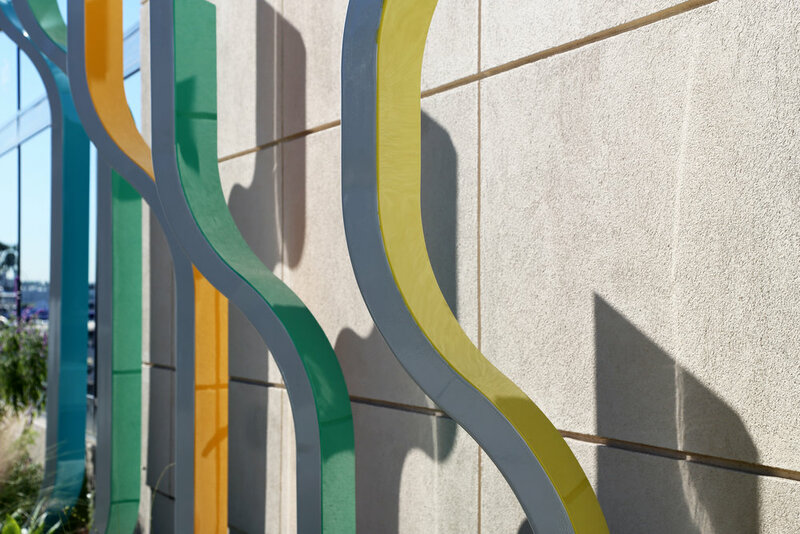 Aluminum faces and painted undersides wash the party wall in an animated dance of hues.